Get ready to be hit by waves of nostalgia because Windows 95 is back! Just another developer doing magic. 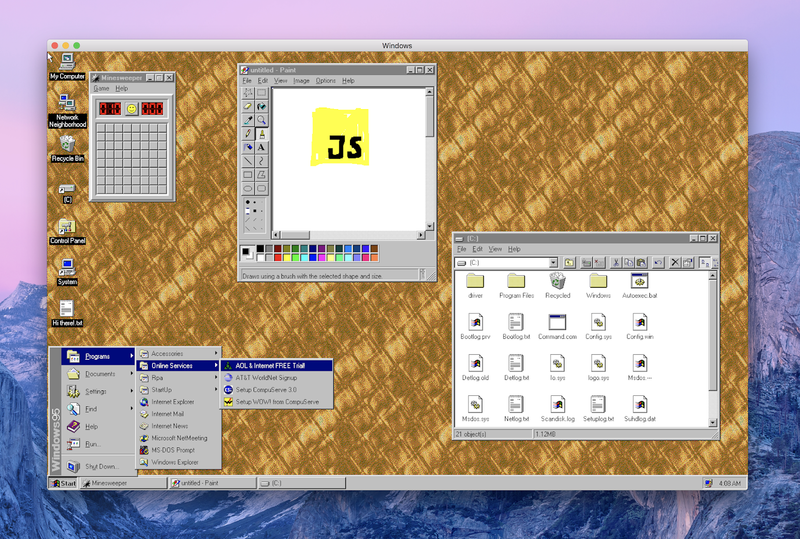 The magician by the name of Felix Rieseberg, a Slack developer, developed a Windows 95 app that can run on macOS, Windows, and Linux. The Windows 95 OS has been seen running on many devices like the Apple Watch, Android wear and also the Xbox. But an app that could run on three different operating systems is going to get all the nostalgia-seekers riled up for sure. The app was created based on a project which includes Windows 95, Windows 98 and many other Operating Systems. Hats off to Felix Reiseberg for giving us a chance to take a trip down memory lane to relive the gloried days of Windows 95.